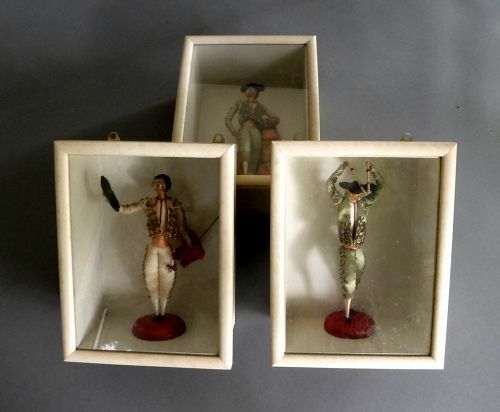 An unusual set of 3 finely attired matador dolls each displayed in a white shadow box. Each matador is different and are hand made. The boxes were designed to sit as shown or they can be hung on the wall. In excellent condition, each box measures about 10" high, 7" wide, and 3" deep. More photos available upon request. Price is for all 3.